Justice sought over Malaysian deaths Jump to media player 62 years ago this weekend British forces killed 24 men suspected of helping communist rebels during the Malaya Emergency. Malaysia opens 'baby hatch' Jump to media player The Malaysian capital has introduced a so-called "baby hatch" to try to save some of the hundreds of babies abandoned every year. 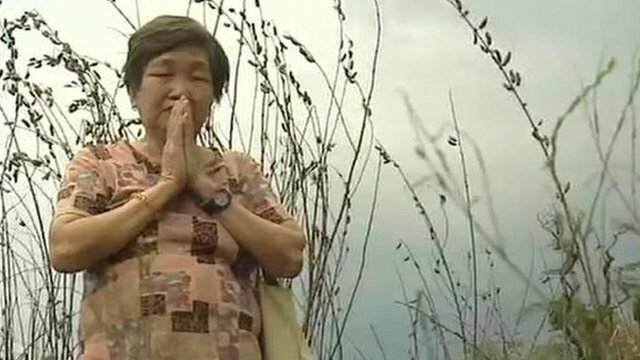 Malaysia tightens faith healer controls Jump to media player Faith healing has played a part in medicine in Malaysia for centuries, but health officials are afraid some patients are being cheated. British forces killed 24 men suspected of helping communist rebels during the Malaya Emergency, 62 years ago this weekend. The soldiers, from the Scots Guards, originally claimed that a group of rubber plantation workers were trying to escape capture in the village of Batang Kali, in what is now Malaysia. But since then, some of the troops have confirmed claims that the killings were in cold blood and the families of the men are now calling for a public inquiry.